We exist to assist Christian families by providing a Christ-centered, Bible-based, academically strong education that encourages each child to come to a saving knowledge of Jesus Christ. We believe that this will equip and inspire them by laying a solid foundation for living a life of obedience to God and service to others. In 1946, a group of concerned parents saw the need for quality Christian education and today, just as yesterday, the West Sayville Christian school is meeting that challenge and will continue to meet that challenge tomorrow. 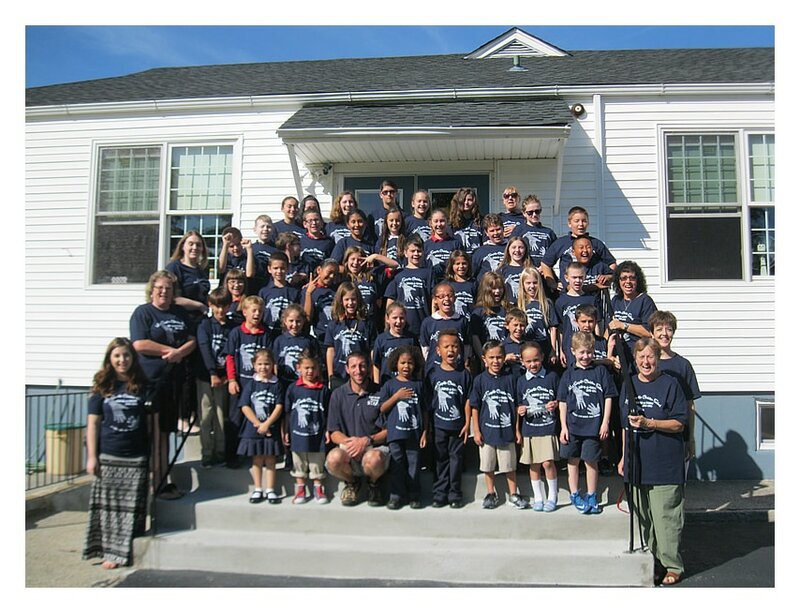 West Sayville Christian School is an interdenominational independent Christian School dedicated to high academic and spiritual standards. As an extension of the home and church, the school guides children in grades Kindergarten through Eight to a Christ-centered worldview and a personal relationship with God. In recent tests given nationwide and statewide these children scored competitively with area schools, both public and private. For over sixty years, quality Christian education including art, music, athletics, computers, library, technology and careers has been taught by caring Christian state certified teachers. West Sayville Christian School believes that since God created and sustains everything through His son, Jesus Christ, the world and life are a revelation of Himself. Therefore, all areas of learning must be taught from a Christian perspective, and with full recognition that God is the author of all knowledge and truth. Generous donations are what helps WSCS thrive. With your support, WSCS will continue to teach our next generation! Simply click the "Donate" button to the right to be a financial stakeholder at WSCS. Focus on reading, mathematics, and language skills. The program continues to build upon the basic foundations taught in Lower Elementary Grades with increased activities and deductive skills development in other subject areas such as Social Studies, Science, and Writing. Students are introduced to a foreign language while continuing to develop advanced skills in mathematics, English, Social Studies and Science. Middle School students have the opportunity to participate in after school enrichment programs and extracurricular activities.